We hear a lot about the various groups politicians pander to, no need to list them all, as the pols try to separate us all from each other. It’s easier to get around the whole constitutional republic problem for them if they can just address their targeted voters and the largesse they will bestow upon them in exchange for their votes. What is, and has been, missing from the mouths of far too many politicians is a genuine conviction to the well being of every American by promoting Americanism. This “ism” promotes the values this country was based and built on, without seeking to transform it. I was born during the Truman years and began to follow politics as a young boy during the Eisenhower years, thanks to my Grandfather and father. From #33 to the current #44, I have only seen two presidents that I could honestly call “a man of the people,” RWR and GWB. The others were either slick salesmen or establishment front men, hired to keep the clubhouse pristine of unwanted riff-raff. After The Undefeated was over and the credits were still rolling on the screen, Palin took the stage to address everyone in attendance. One person in the front row recorded her address, which is why we have the following video record. Notice that the address is unscripted, she is speaking from the head and the heart, from experience and beliefs, not from a teleprompter or index cards. This video is a perfect example of the type of politician we need, one that is more concerned about this great nation and its people, than with satisfying their narcissism. Some say if she runs, she will never win the GOP nomination, or if she is the GOP choice she could never beat our current pResident. I don’t agree with any of that, but even if were to be true it wouldn’t disappoint me. Her not running at all is all that could disappoint me. I don’t know if it’s the RNC, or the PTB … but whoever is putting out the news stories about the republican “frontrunner” Mitt Romney …. Just so you know … I won’t be voting for Mitt Romney. No way, no how, no sir. And, while we’re at it, I won’t be voting for the “candidate most feared by the White House”, Jon Huntsman, either. After the effort we conservatives put forth in 2010, to think that these two phucks are the best the Republicans can do is disheartening to say the least. It is time to start organizing the write-in campaign for Sarah Palin? This picture is from around 1958. 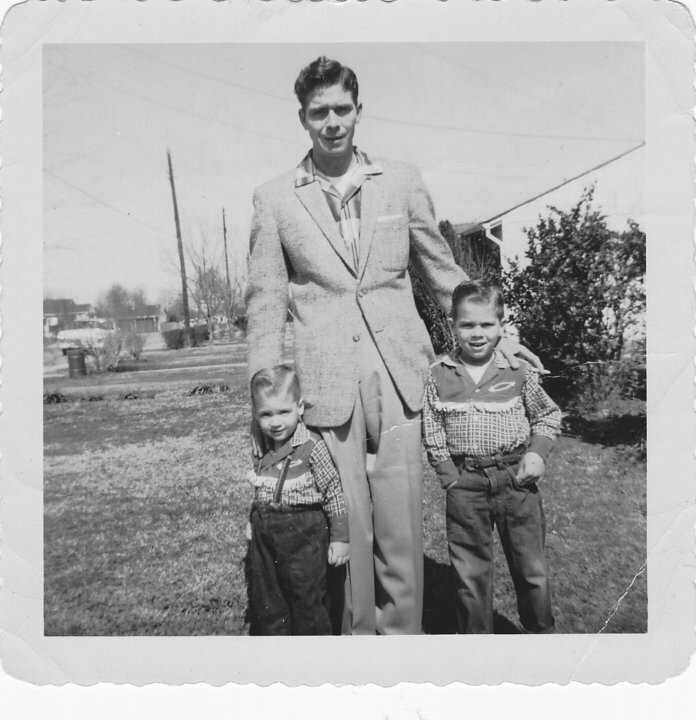 My Dad, my big brother, and me. Sly and the Family Stone, a tight performance on live TV. Get your groove on …. You probably heard that Mr. PIMCO, Bill Gross, said that the US is in worse shape than Greece. Coming soon to a city near you…. Was able to get the 66Mb database backup file of this morning from nbpundit, am now flipping it around and uploading it to our new hosting space. We need to solve some naming convention and data import issues related to SQL databases, so our forum software will be able to see and connect with our recreated database. If we are lucky we’ll be back in business sometime late Saturday afternoon. 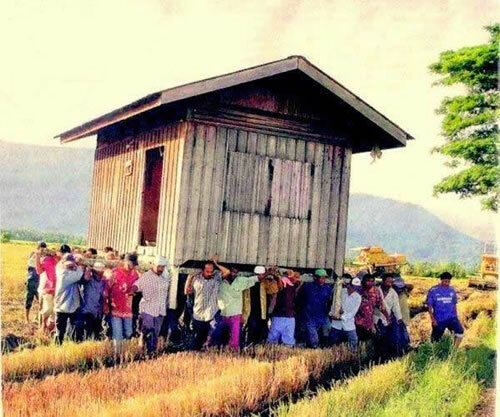 Here’s a moving day open thread. See y’all at the new digs later.